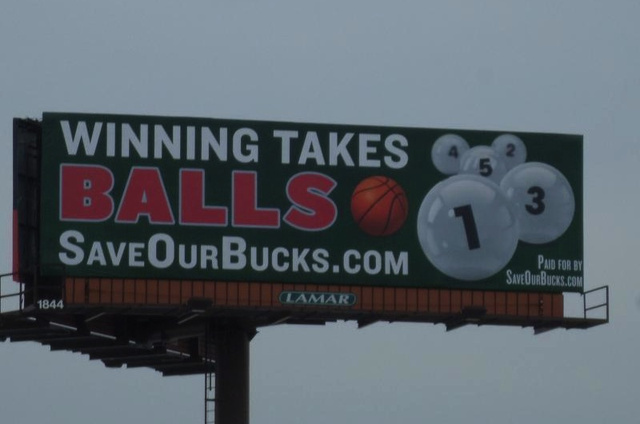 The folks at SaveOurBucks.com wouldn’t call it “tanking.” They’ve got a multi-part plan for the Bucks to return to competitiveness and stay in Milwaukee, and it involves front office moves and fan support. But the key is to eschew the Bucks’ usual strategy of band-aid acquisitions in favor of trading away veterans, letting young players get minutes, and lose their way into a top pick in next year’s stacked draft. So: tanking. This entry was posted in Uncategorized and tagged Bucks, NBA. Bookmark the permalink.